Snorkelling off Frankland Islands, near Cairns. Explore the Great Barrier Reed from your very own secret paradise, the Frankland Islands, close to Cairns, number #93 on Australian Traveller’s ‘100 amazing places you haven’t been to yet‘. Nominated by: Bob East, CEO of Mantra Group. 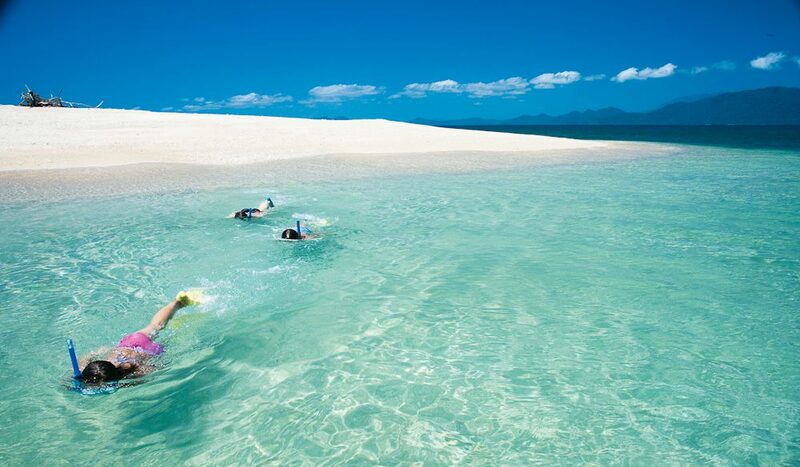 The five Frankland Islands (Normanby, Russell, High, Round and Mabel), south-east of Cairns, offer adventure seekers “the chance to camp and explore the reef from your very own tropical paradise,” says Bob East. Once you’ve packed all your gear, you can arrange to be dropped off and picked up by Frankland Island Cruises.